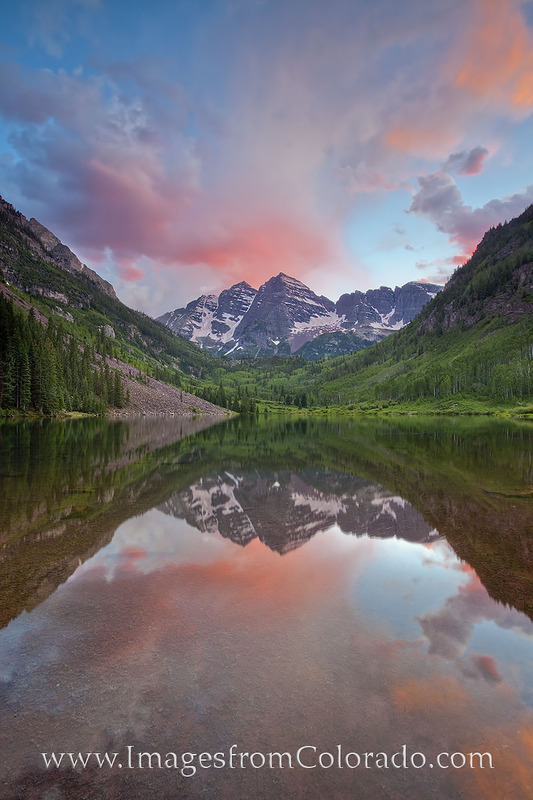 Maroon Lake is one of the most photographed locations in Colorado, but a majority of photographers visit this area at sunrise. Here, the prominent 14ers and Maroon Lake are captured in the evening as the last light of a Colorado summer evening turns the clouds into shades of pink and red. Photo © copyright by Rob Greebon.